What type of student typically enrolls in Ball State’s MBA program? (Administrative Coordinator, Holly Brown) Typically, our students are full-time working professionals who come from a variety of industries and are looking to take advantage of our flexibility while seeking a strong return on their investment; particularly due to our affordability and faculty credentials. The current, average work experience of our students is 7 years and their average age is 30. As you can imagine, we see a smaller number of students who come directly from their undergraduate studies to a larger number of students who are seeking career changes or advancement. Since students aren’t required to spend time on campus, how do students and faculty build relationships? (Assistant Director of Graduate Studies, Allison Logan) Because all of our core courses are synchronous, online students remote into the live, on campus course and interact with their peers, as well as their instructor, in real time. Additionally, all of our Ball State MBA faculty members also instruct traditional, face-to-face courses and maintain office hours where they are available via email, telephone, or through various discussion boards. In many of our core courses our students are grouped together for various assignments. As a result, we have seen our students’ networks grow in regards to work relationships and friendships during the coursework and after graduation. What is unique about the structure of Ball State’s online MBA program? (Director of MBA and Graduate Certificate Programs, Jason J. Webber) Our program is an excellent balance between qualitative and quantitative courses which are delivered in a synchronous format; our online students remote into the live, professionally-produced, studio classrooms. These courses are all offered in the evenings, once a week, Monday through Thursday (without any residency requirement), to accommodate our working students. Students who wish to gain an extra advantage can pursue any one of our five concentrations. Ball State’s MBA program offers 5 areas of concentration, including entrepreneurship. What concentration is most popular and why? (Director of MBA and Graduate Certificate Programs, Jason J. Webber) We see movement among the concentrations, regarding popularity, from year to year. While finance typically remains strong, we have our Sales Center, Logistics and Supply Chain Center, and Entrepreneurship Center in the Miller College of Business which keep those three concentrations relevant and popular. We have also experienced growing interest among various physicians and pharmacists who seek our Health Economics, Policy & Administration concentration. The feedback we get from this group is that the concentration is helping them get a grasp of the business landscape as it relates specifically to the medical field. (Assistant Director of Graduate Studies, Allison Logan). 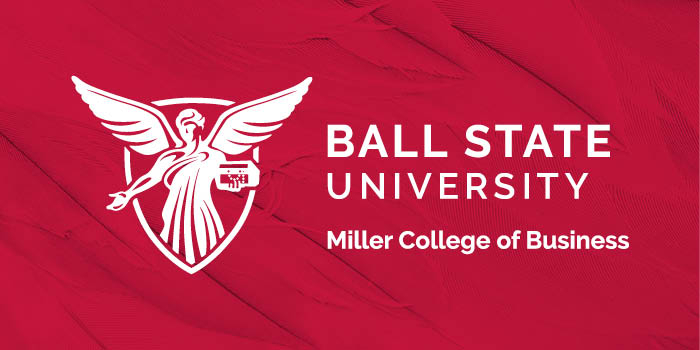 Our Ball State Career Center is available to all current students as well as any Ball State MBA graduate. Some of the services offered include guidance through different career considerations and decisions, development of various skills (interviews, resumes, etiquette, etc. ), help with establishing connections and networks, and transitioning from the classroom to the professional world or other employment. Ball State University’s Alumni Association is also available to all graduates. Their goal is establishing meaningful connections and helping over 190,000 alumni connect and assist with career networking. Given Ball State's high ranking, is entry into the program competitive? What can prospective students do to improve their chances of entry? (Director of MBA and Graduate Certificate Programs, Jason J. Webber) We maintain a high level of transparency from the very beginning with our prospects and openly discuss our admission requirements. We value our prospective students’ time and so we share exactly what we are looking for in regards to GPA, test scores, and if the program is a good fit. While we remain at capacity in many of our courses we see many students who may not have the required scores or GPA never complete their applications and self withdraw from the process. As a result, our monthly admission decisions are not competitive at this time. Thanks to Jason, Allison and Holly for participating. For more interviews, check out our Online MBA Report Interview Series.